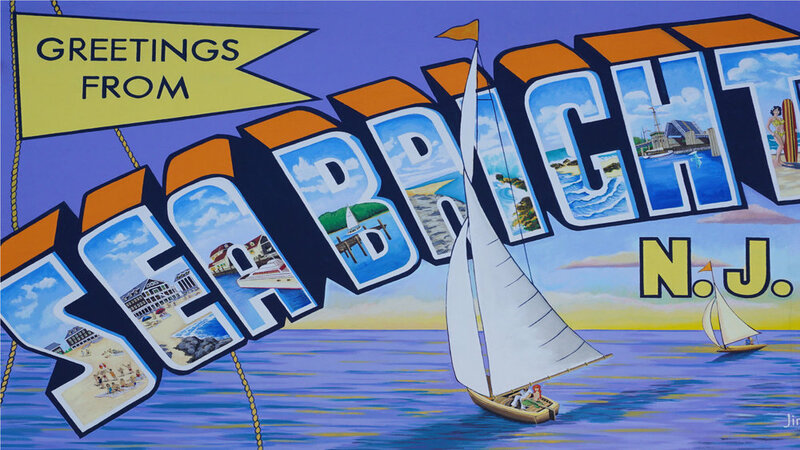 Hi, my name is Brian George and I am the owner of Northshore Sea Bright - The Threads of the Jersey Shore. While our store has changed over the years our intentions have remained the same, to provide quality goods, sold by courteous professionals at a fair price. In December 2014, we opened our new womenswear department, The Porch, which has been wildly successful in helping us reach more people in the community. This expansion was driven by my daughter's desire to make the Northshore lifestyle accessible to men, women & children. Today, Mary's vision has become a reality, as our store offers apparel & accessories for the entire family. As a small business our foundation is built upon the strong relationships we have with our customers. Our relationships with you are far more valuable than the transactions we've made, so I want to take this opportunity to thank you for supporting Northshore and allowing my family to serve you for the past 36 years. Together with my wife, children & their families, we are excited to serve you for generations to come. We'll see you at the beach! The concept for Northshore began when I discovered my passion for clothes as a young boy. For eight years, I had my own paper route where I delivered newspapers to families in my hometown of Sayreville, NJ. When I was twelve years old, I took the money I made from selling papers and marched down to Roy’s Young Men’s Shop in Perth Amboy. The shop was owned by Mr. Roy Goldman and he carried classic apparel & accessories. As I got to know Mr. Goldman I grew to admire how he ran his business and treated his customers. From then on my dream was to own a men’s clothing store just like his traditional haberdashery. Twenty years later, after spending more than a decade working as a garment and fabric professional, I knew it was time to step out and recreate this concept on the Jersey Shore. In 1982, we opened Northshore in a small office showroom, and three decades later we continue to serve the Jersey Shore from our storefront in Sea Bright. We can buy clothes anywhere but there is no substitute for honesty, great customer service & a real human relationship. This is how we've run our store from the beginning and we're committed to giving you the same experience every time you walk through the door. Mr. Goldman - thanks for your example and inspiring me to dream big!